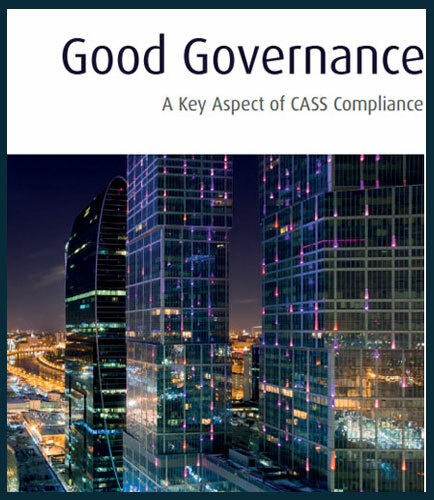 "The role of good governance to achieve CASS compliance"
In the present scenario, it is very difficult to achieve CASS compliance without the correct CASS governance and oversight framework in place. Most firms with CASS failings painfully resolve their issues only to find more problems down the line, despite all the costs and resources that they would have dedicated to resolving the initial failings. Often this is due to the lack of focus on building a sustainability framework that is forward looking, rather than incident driven. But what does 'Good CASS Governance' even look like? Few firms or consultants can explain what good governance looks like or provide a tangible solution; a lack of clarity in the market exists even before the myriad of CASS arrangements have been added to the equation. Each year, HighRoads surveys companies about their current processes and future plans for compliance communications. In 2013, HighRoads invited mid- to large-sized organizations throughout the United States to share information about their compliance and governance operations; their approach to producing, updating and distributing Summary Plan Descriptions (SPD) and the steps they are taking to generate the Summary of Benefits and Coverage (SBC) and other required notices under the Affordable Care Act (ACA). Benefits communication straddles an unusual line between the everchanging requirements of government regulation, the increasing need for clear, concise and understandable content and changing preferences for how to receive and send information. That said, there are some things that remain constant from year to year-such as what employers find most challenging and the lack of good data around compliance expenditures. CASS is a set of rules and regulations followed by a firm while dealing with the client’s money or safe custody assets as part of a business contract. These client asset rules help to keep the clients money on the safer side if the firm fails in running the business and exits the market. On the other hand, it helps to reduce the financial loss by identifying, assessing and mitigating risks.